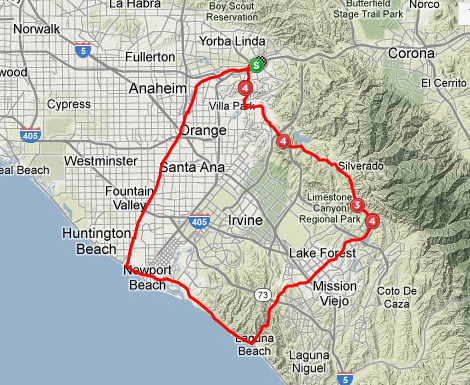 Yesterday, Michael and I rode Santiago Canyon via our track bikes. The total trip ended up being about 70 miles. I was a little disappointed on the distance because I had it in my mind this trip would be somewhere closer to 80 miles. Despite my error in distance the ride proved to be scenic and relaxing. 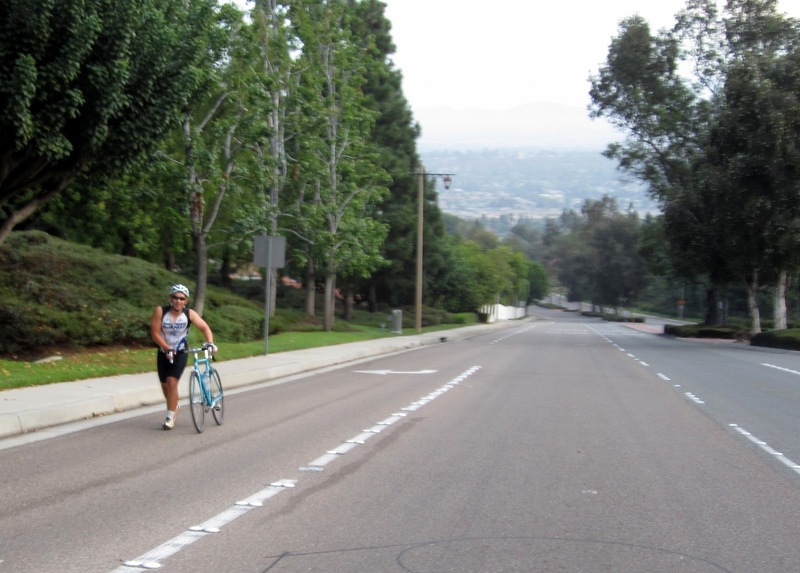 We started our ride at Yorba Regional Park and we were welcomed with a ridiculously steep Imperial Hwy. I was running 46 x 15t and chose to zig-zag across the road. 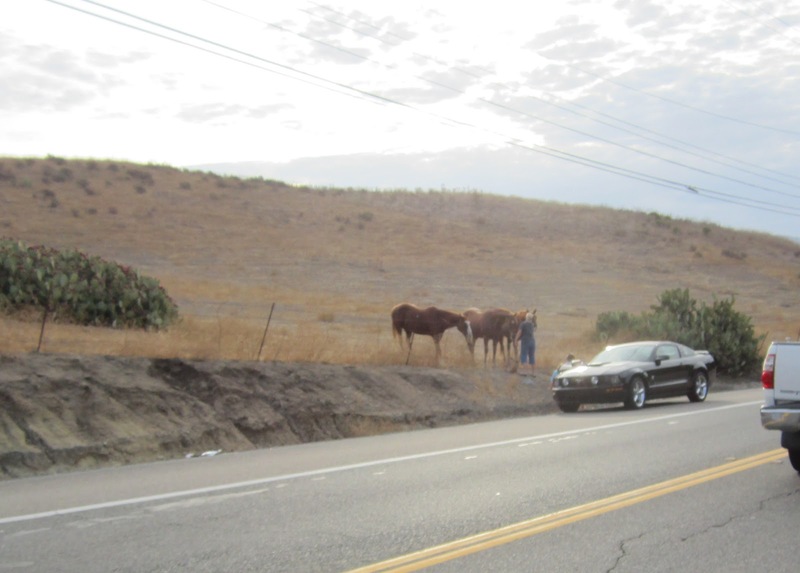 It was the only thing I could do to get up Imperial Hwy. Micheal, was running 46 x 14t and this proved too much gearing. He was forced to walk parts of the hill. Once at the top, Imperial becomes Cannon and we "bombed" down it. Michael's 14t helped and I spun like a crazy to keep contact. There were some kids in a beat up Toyota van who opened their sliding door to offer us an additional tow. Michael and I were definitely not interested. 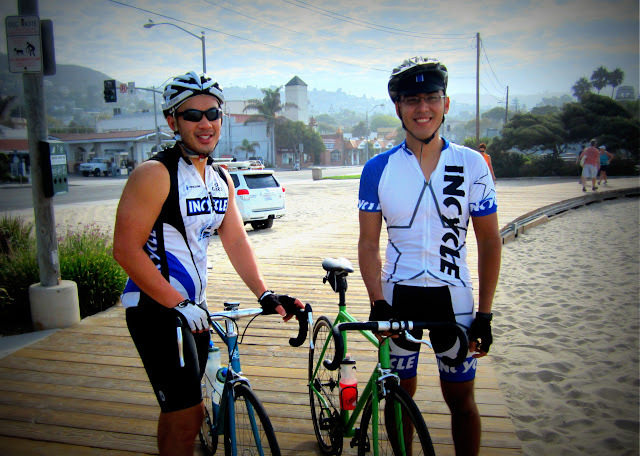 Broadway and PCH in Laguna is our rest spot. We stopped in Laguna to fill up our water bottles and refuel on Cliff Bars and Corn Nuts. Corn Nuts are my current favorite ride treat. Feeding Horse in Santiago Canyon. 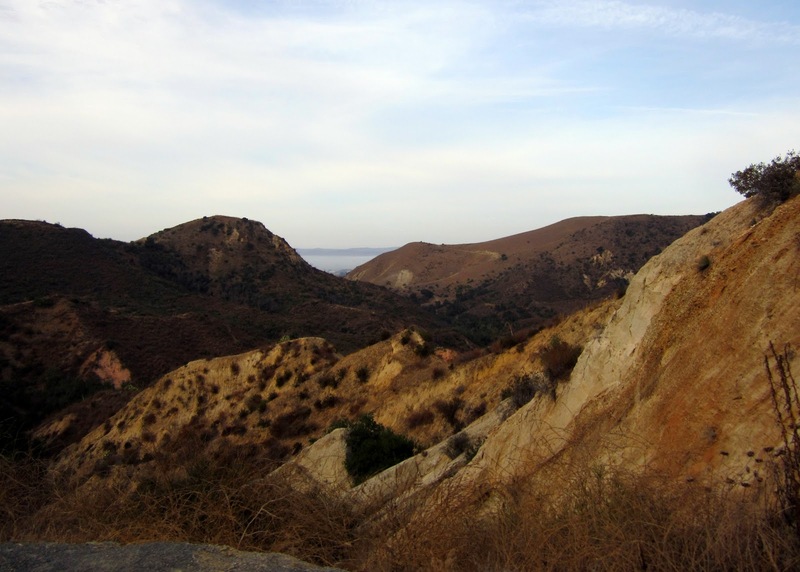 Santiago Canyon consists of long rolling hills, and beautiful houses with horse property. Pacific Coast Highway. 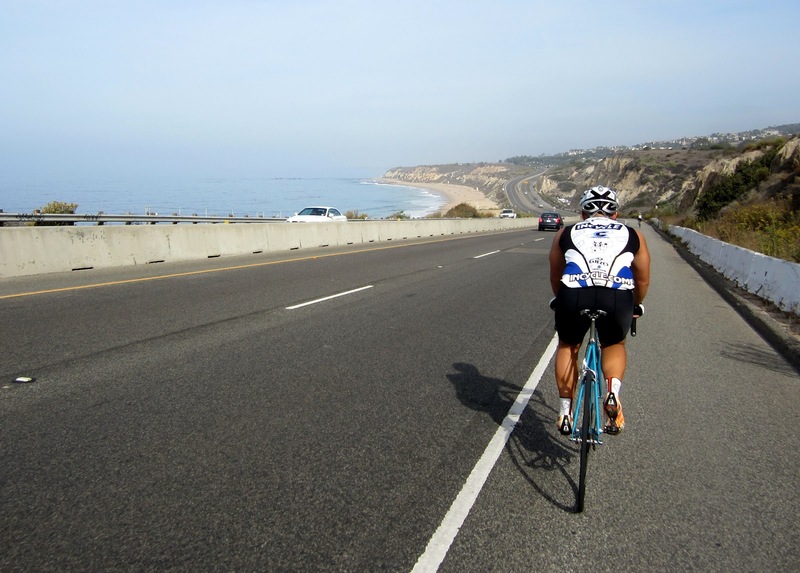 The beach, sand, great views and rolling hills, PCH is always a fun route. We took PCH back to SART. The total trip was about 70 miles. For 70 miles it wasn't too bad. Imperial Highway was a monster but after that much of the trip is rolling hills. Some short, some steep but overall nothing too difficult.